I posted the above photo on my Instagram (@renzze) awhile ago and if you haven’t figured it out yet, OSIM’s uDiva endorser is none other than Lee Min Ho. He’s one of the top Hallyu stars in Korea right now and at the height of his stardom. If uDiva, a mini sofa that transforms into a relaxing lounger or a full-body massage chair, is good enough for a luminary like him, it’s good enough for me. 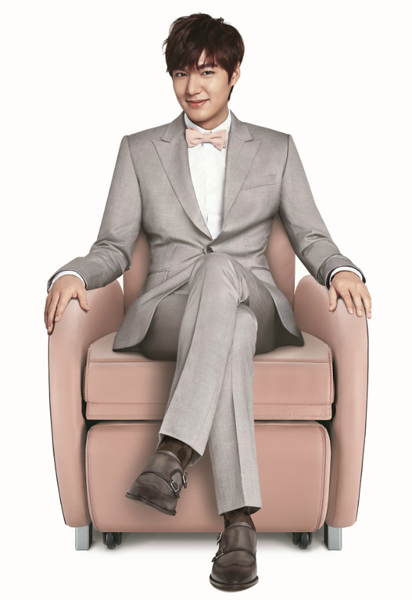 In fact, OSIM is the first Singapore brand the Korean superstar is endorsing. “I love having the uDiva in my home. There are days when filming zaps up all my energy and I just want to chill and relax when I head back home. Nothing beats lounging in your favourite sofa and letting the power-packed soothing massage drain all the weariness away” says Lee Min Ho. uDiva is the world’s first triple enjoyment Sofa that double up as a lounger and a massager. Available in 5 fashionable shades – Gorgeous Pink, Stunning Black, Enchanting Blue , Elegant Beige and Luscious Maroon, there is definitely one colour that will fit perfectly with your home’s décor. When it is not extended (as shown above), it looks just like any ordinary sofa and wouldn’t take up unnecessary extra space in your living room. We all know how precious living space is in a country like Singapore and unlike massage bulky massage chairs of the past, this one will fit comfortably in any room. 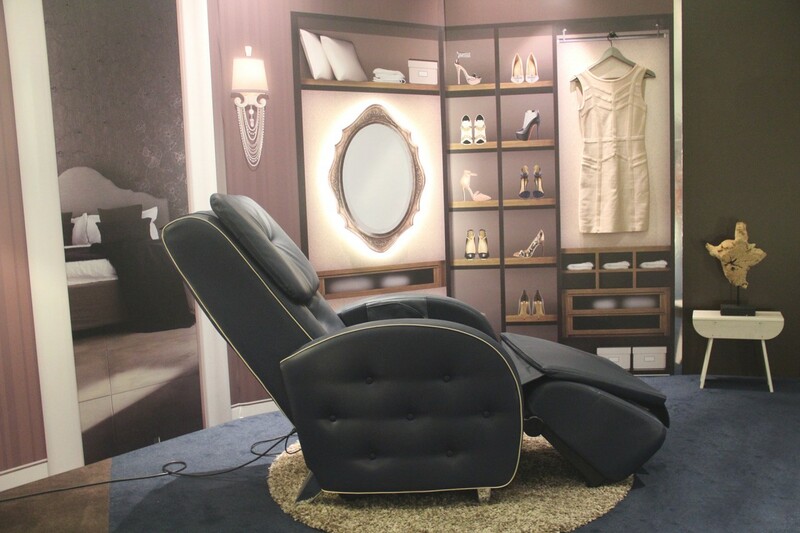 To read a book or watch TV, simply extend the uDiva into a lounge chair. It’s so comfy, I could easily doze off on one. Naturally, the most unique function of the uDiva is the ability to convert into a massager. OSIM massage chairs are well recognized to be one of the best in the industry and they have incorporated an exclusive 3D Power Ball technology featuring 3D Dynamic Massage. Composed of a series of carefully calibrated bumps, the technology was developed after much research and development into trying to mimic the human touch to tunnel deeper into your aching muscles. There are a total of 6 massage programs in the uDiva. My personal favourite is the Neck and Shoulder program which uses Feng Chi acupuncture point massage to relieve tension headaches and stiff shoulders. The massage feels similar to having a a head and shoulder massage at a hair salon. A hit with the ladies is the pampering, stress relieving spa massage program. It helps to boost the regeneration of cells and helps promote blood circulation for general well-being. Focusing on mental relaxation, this is one of the most popular massage programs for PMEBs. The massage improves the circulation of the legs while relaxing the shoulder and neck muscles. The lower back tapping works at releasing the tension in the muscles that are strained after long hours of sitting at the desk. A strong massage function to loosen and relieve lower back tension. This massage loosens muscles and increase your flexibility. For those who wants to prepare your body for a good night’s sleep, this is perfect at bedtime. I personally love the Enchanting Beige and Enchanting Blue versions of the uDiva and can already picture how easily it’ll integrate into my home and my lifestyle. The plush leather with button accents, pleated panels and contrast trimmings are details which add to the modern but opulent effect. 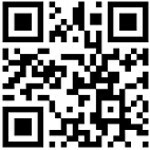 For more goodies about the uDiva, you can go to http://uDiva.OSIM.com or download the QR Code. 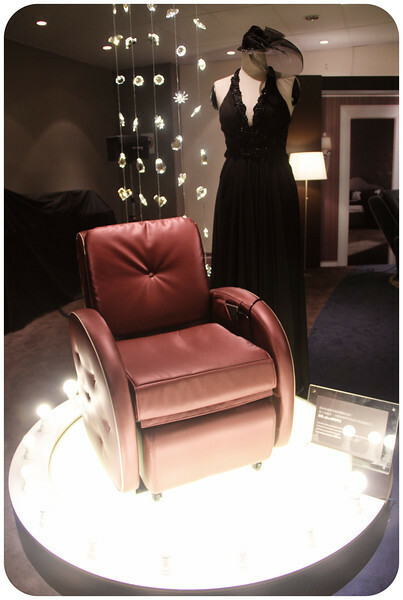 I had a glorious time at the OSIM uDiva party with specially concocted cocktails by Mixes From Mars for each colour of the uDiva. 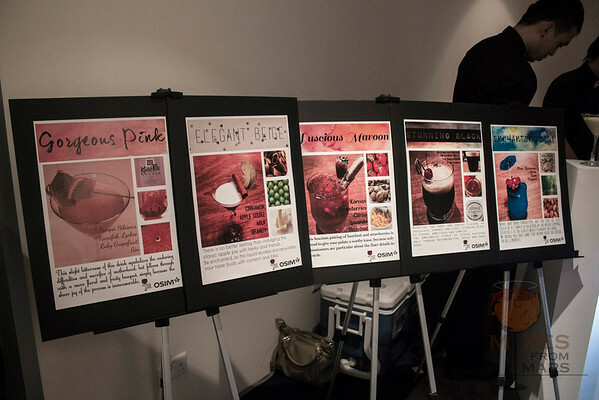 Mixes from Mars is a pioneer in the bespoke portable bar industry that started in early 2013 (http:// mixesfrommars.sg). 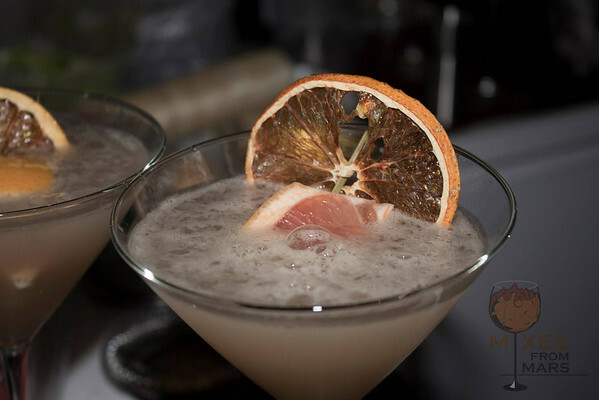 They offer a distinctive concept where each drink is personalized to the palate, mood and flavour preference of every guest. They currently have a pop-up bar called Mars Bar at 83 Duxton Road (Duxton Hotel). My favourite drink that night would be the Elegant Beige cocktail which is reminiscent of a sweet home-made apple pie. 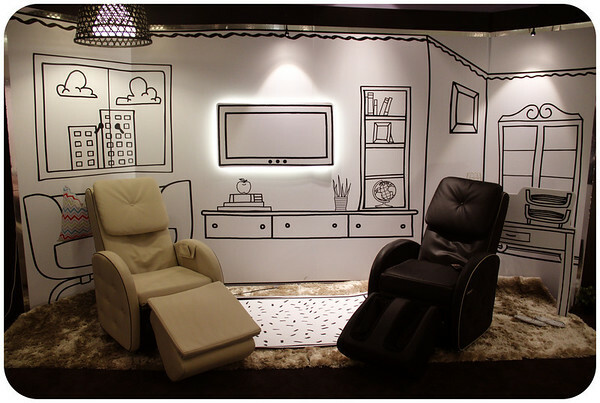 With yummy bites, delicious drinks, calming hand massages, gel polish manicures and the comfortable uDiva, OSIM really knows how to keep their guests relaxed and recharged. 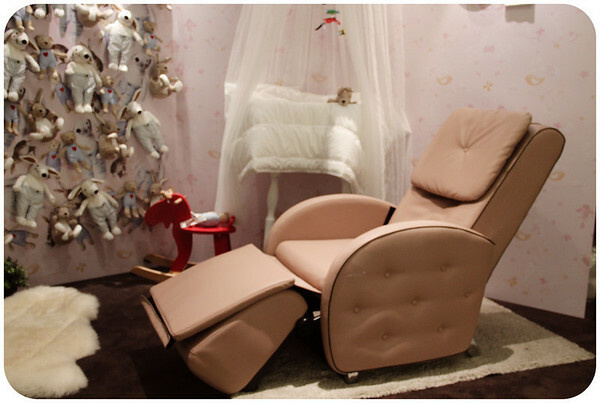 The OSIM uDiva retails at a special introductory price of $2,588 (usual price $3,288). It is available at all OSIM outlets, road shows and online at www.osim.com. For more information, follow OSIM Singapore on Facebook. 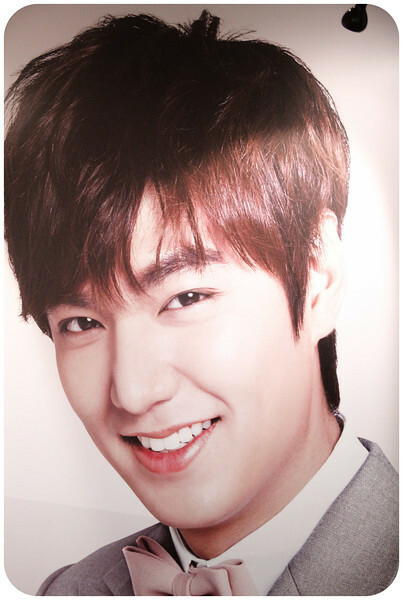 Head down to any OSIM store to give uDiva a go and while you are there, snap a photo with uDiva endorser, Lee Min Ho. Post the photo of you and Lee Min Ho (taken at any OSIM store/roadshow) on instagram and hashtag #uDiva #OSIMSG together with the choice of your favourite massage program. One lucky winner will be selected to win an OSIM uSlender Slim Belt massager worth S$268 every week! From 11 April 2014 to 31st May 2014, there are 7 sets to be won. Look out for the announcement of 1 winner every Monday on OSIM SG’s Facebook Page, and remember to set your Instagram account to public. Join the #RenzzePulse family. Sign up to get exclusive features, content, tips, giveaways and direct access!